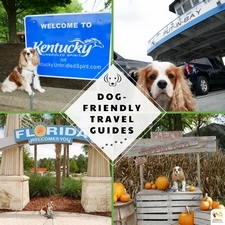 Finding a dog-friendly hotel can sometimes be a challenge. Believe me, I know. I also understand why so many hotels have a no dog or no pet policy. What!? Why would a dog-crazy mom say that? Because some dog guardians are just plain rude and inconsiderate. When dog owners travel with their dogs, they have an obligation to be a very polite and unobtrusive guest. This goes for Fido too. Here are my top tips for good doggy hotel etiquette. 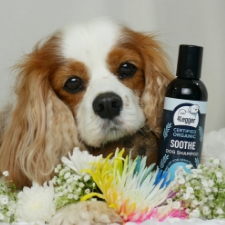 Clean Dog: Before you pack your dog on his dog vacation, make sure he is clean and well-groomed. Dogs do not have to have a doggy smell; if he does, he is overdue for a dog bath. A clean and brushed dog not only will leave less fur behind, but he will also look nice and attractive to other hotel patrons. 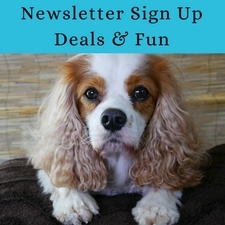 Learn how to give your dog a bath. Flea-Free: We’ve heard about hotel bed bugs, what about dog fleas? Yuck. But, as you probably already know, I’m an advocate for safe and natural flea treatments and solutions. You, too, can have a healthy, flea-free dog by following these steps. 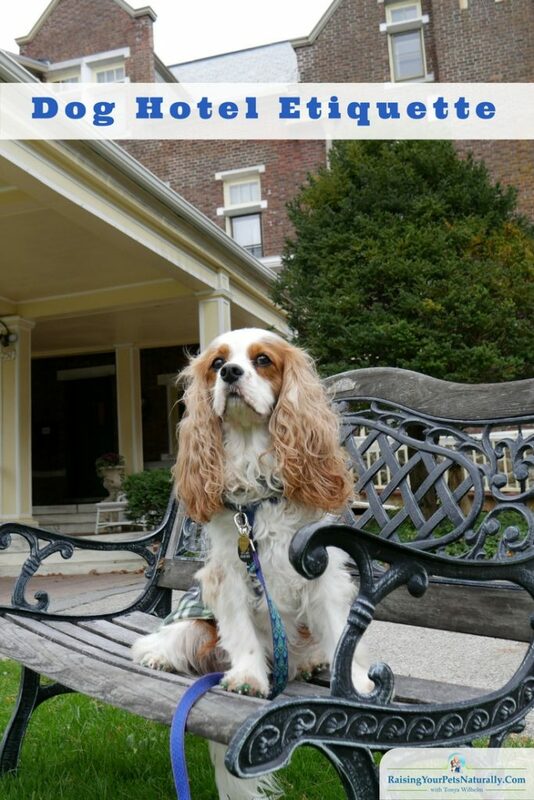 Polite Leash Manners: It’s wonderful when you find a dog-friendly hotel, but that certainly doesn’t mean everyone wants to say hello to your dog. Don’t take offense; not everyone is a dog person, or feels comfortable with strange dogs. Keep your dog on a leash at all times when in a public location, and do not allow your dog to sniff a person or another dog without asking permission first. Keep your dog at least 5′ away from other people and dogs. Need help to teach your dog leash manners? Read more here. Pick Up After Your Dog: Got poop? If so, pick up. This means you are responsible for having at least 3 poop bags on you at all times. You never know if your dog is going to get a little stressed walking down the hall, so better safe than sorry. When you leave your house with your dog, poop bags should always be in your pocket. Dog Blanket: If your dog will be on the hotel bed, you should cover the bed with your own blanket. This will help keep the hotel room hair-free after your departure. Dog Towels: Cleanliness is key if you want to be a good dog guest. If you travel with a variety of absorbent dog towels, you will be saving the hotel cleaning crew work. No Barking: People take vacations to get away from it all, and relax and have a good time. It is not enjoyable if hotel guests have to listen to your dog barking all day and night. Learn how to teach your dog not to bark. Clean Your Room: I know, you’re not ten, but leaving your hotel room neat and tidy is going to make a nice impression. Dog people really can be enjoyable hotel guests! Have you ever experienced a less than welcoming hotel experience because of your dog? Tell me in the comments. These are some great tips about dog etiquette. I do not have a pet but now I know what I should do when I travel. Thanks! Yes, if we want to be able to include our dogs, we need to be responsible and courteous. Glad you enjoyed it. We dont have any pets but Im sure this is super helpful to those that do. I always love seeing pups at hotels! This is helpful! 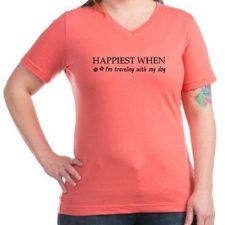 I think I’d want to bring my dog along a lot of the time. I guess I’d have to prepare with some extra supplies. We don’t travel with our dogs but I know a few people that do including some family members. These are all great tips and I do think it is so important that people keep the environment as clean as possible when they have dogs. I know my sister finds it challenging to always find a place to stay that allows dogs. Thanks. Yes, it’s not fun entering a hotel room that has a smell, doggie or other. Cleanliness is key. 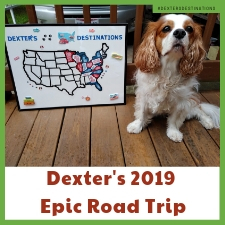 A friend who travels with a reactive dog brings a white noise machine, which helps to mask noise in the hallways from other guests, cleaning staff, and other dogs. I think staying 5′ away from others is a good distance. If your dog lunges you’ve still got wiggle room to pull her back in time. Great ideas. I also love Through A Dog’s Ear, especially if the dog parent has been using it with other training protocols. A reactive dog would definitely need more space. I would hate for a reactive dog to lung at a guest even if he wasn’t close enough to reach. That would be pretty scary to be on the other side of it. www we used to have a dog – a chocolate lab, Hazel, and she was the sweetest thing ever. She passes from old age and posts like this always make me miss her! I’m sorry for your loss. I love labs! In the beginning of my career (19 years ago) I trained service dogs. Labs and goldens. Loved those guys! Your dog is so cute love Kings Charles breed and all the tips provided. I have a Sheltie and love traveling with her. 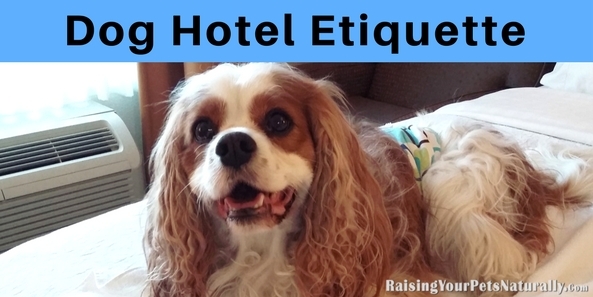 Appreciate all the tips and information on hotel etiquette for dogs. These are all great suggestions. I never realized how difficult it would be to find a place that accommodates pets until I married into a family that has a golden retriever! Thanks. My previous dog was a golden. <3 them. What a great series of tips! I have a dog, but I didn’t realize that all that went into trying to find them accomidations. It is crazy to think how high mantinance my dog really is. Thank you for a great post!